Boxing Cat Brewery has been a craft beer staple of Shanghai since 2008. With three locations in Shanghai, plus another kitchen and taphouse, Boxing Cat is coming to South Korea tomorrow (Feb 20th, 2016) for the first time—at least for a little while. Tomorrow, beer geeks from Seoul get a chance to try Boxing Cat’s most popular beers and meet their brewer, Michael Jordan. Originally from the U.S. (by way of Denmark), Michael has been the brewer at Boxing Cat since 2010. 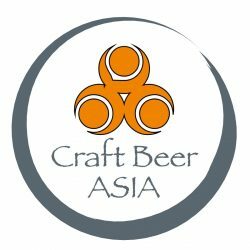 You can check out Craft Beer Asia’s interview with him from this past summer. Starting at 3pm tomorrow in Garosu-gil, Mikkeller Seoul will be hosting the Meet the Brewer event. The Booth Itaewon will also be hosting a Boxing Cat Tap Takeover event tomorrow at 2pm. The Booth/Mikkeller Seoul have announced a contest for free prizes. Come to the Mikkeller Seoul dressed in a Boxing Cat theme (boxing gloves, cat graphic shirt, cat makeup, bring a cat!, etc.) and get the opportunity to win a growler of Boxing Cat beer or a T-shirt. There’s a limited number of prizes, but more may be added. In comparison to its English counterpart this beer is less malty; in the range of low to medium. The nose of the beer is fruity and estery with some crystal malt providing a bit of residual sweetness and slight orange hue. An American Pale Ale of distinction utilizing generous hopping of US hop varieties. This beer gets additional aroma from the dry-hopping procedure near the end of fermentation. This lovely hop provides notes of tropical fruit such as mango or guava. The hops provide some residual bitterness but Sucker Punch Ale is incredibly refreshing and easy to drink! A mildly hopped, malty beer traditionally found in the “beer halls” of Munich, Germany. This pale-golden colored lager is an extremely light and thirst quenching beer with pleasingly low bitterness that does not linger at all. The subtle hop aroma and flavor is present from “noble” hops from Bavaria. The malt flavor from imported German malts provides just the right touch of body to this beer while still keeping the beer refreshing. A simple yet satisfying pilsner with low malt flavor and medium hop character. The distinctive characteristic is the flowery, medium hop bouquet and flavor from Czech “noble” hops. It also has a dry finish from a more thorough fermentation and additional cold lagering. Light gold to medium gold in color. A nice crisp, smooth finishing lager with no fruitiness or esters. A special style of pale ale that has high hop flavor, aroma, bitterness plus a higher alcohol content. IPA’s were originally brewed in England for the long trip to India when additional hops were added as preservatives. Boxing Cat TKO IPA is medium in body with some maltiness from the use of imported crystal malts. The signature flavor comes from the four different American hop varieties we use during the brewing process. These hops contribute citrus notes in the nose and flavor in this complex orange-copper colored beer. The latest release in our Single Hop series featuring the hop variety called Dr. Rudi from New Zealand. The idea is to highlight the precise taste and aroma of the hop by using one single hop variety throughout the brewing process. The base beer is a light golden ale that will be used for all of the single hop series. The Dr. Rudi hop contributes a pleasant upfront bitterness while yielding a wonderful aroma of citrus peel along with pine and lemongrass notes. The mild bitterness in the finish is quickly washed away by the malt dryness and bright hop notes. A refreshing beer that uses an awesome hop variety! An American Style Barleywine with very complex flavors of raisin, toffee, chocolate and subtle smokiness. The aroma of this beer is also fruity with notes of citrus and passionfruit from the use of Galaxy Hops from Australia. This wort was boiled for an extended time frame to promote smoothness and drinkability in a strong ale. The use of Malaysian Gula Malacca sugar was used to increase the sugar concentration and provide some unique Asian flavors. Bare Knuckle Barleywine is a very limited release beer that should be savored when sipping from a wine glass in the darkness of Winter.